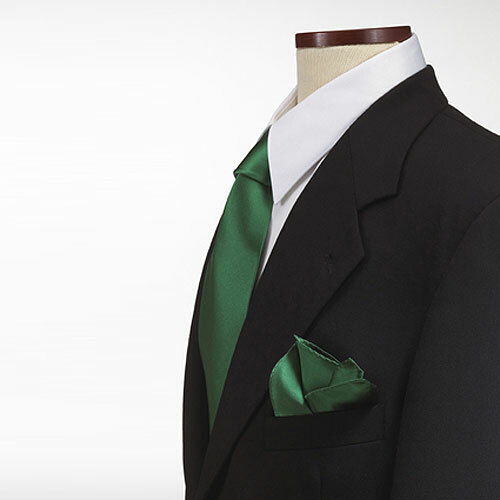 10" x 10" kelly green 100% silk pocket square. Also available in polyester. Silk pocket square with rolled edges. In stock and ready to ship. 12 piece minimum. Quantity discounts available. Individually poly bagged.